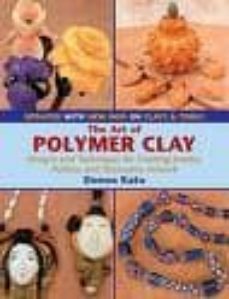 Donna Kato has contributed to The Art of Polymer Clay: Designs and Techniques for Creating Jewelry, Pottery, and Decorative Artwork as an author. Donna Kato, teacher, product designer, and artist, is the author of "The Art of Polymer Clay, "the bible of polymer clay crafting. For many years, she served as a representative for Sculpey and Fimo, and recently she has partnered with the art-materials manufacturer Van Aken to design her own line, Kato Poly Clay. She and her husband, photographer Vernon Ezell, live in Florissant, Colorado.